Our family does not own an Ipad or DVD player for our long car drives. We often fill the time with games, activities, listening books and podcasts. Podcasts need to have two qualities. One they need to be engaging by having quality content. Second, they need to have a voice that is nice to listen to. I remember one time getting a listening book and about every 2-3 sentences the reader would sigh. That book only lasted about 2 minutes before getting shut off. These podcasts are just the right mix and great entertainment whether running on the trails or hanging out with the kids at home. She explores has been one of my go to podcasts for getting inspired to get out and adventure. 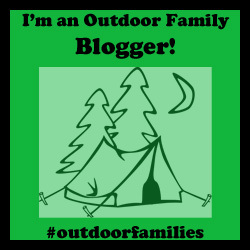 I also appreciate that it is not family focused and focuses on women in the outdoors. They interview a variety of women across the world that are artists, explorers, adventurers and outdoor business women. They have talked with women who live and travel out of their van by themselves, women who adventure on solo backpacking trips and business women who have started outdoor organizations like Coalition Snowboards. Check out She Explores podcast here. This podcast covers a variety of topics related to trail running. They interview trail runners that compete in epic trail races, cover nutritional trends and training programs. This podcast has been a favourite of my husbands and soon became one of mine as I trained for my first half marathon trail race in 2014. My half marathon trail race turned into a 10 km race after becoming pregnant with my second daughter. I soon realized that morning sickness and running a half were not going to work for me. That aside, this podcast will inspire you to hit the trails. Check out Trail Runner Nation podcast here. Hiking My Way to Happiness was created by Hike it Baby founder Shanti Hodges and covers a variety of topics related to the outdoors. This podcast is new with only four episodes. So far the episodes have covered a variety of topics. She has interviewed Beth Rodden a professional climber and mother, Adventure Mamas co-founders Steph Fuller and Justine Nobel, and parents Rachel and Zak farmer who are raising a four year old climber who appeared on the Ellen show at age 1.5 for her climbing skills. Check out Hiking My Way to Happiness podcast here. Rebecca Walsh is the host of the Hike Like a Woman Podcast that started in November 2017. She keeps it real by interviewing people and learning about their experiences in the outdoors while tackling real life issues. The women she talks to have battled post-partum depression and anorexia and tackles issues hot topic issues like diversity in the outdoors. Check out Hike Like a Woman podcast here. In the Revisionist History podcast, Malcom Gladwell discusses historical events that are either misunderstood or misinterpreted. He covers a variety of topics dabbling in sports, music, art, politics and law. Topics include talking about why pro basketball players don’t increase their shot percentage in the NBA by shooting a free throw underhanded. This engaging series is a step away from the outdoors theme but a podcast that would hold interest on those long 100 km runs on the trail. Check out Revisionist History podcast here. Another podcast not related to the outdoors but one that has given me lots of encouragement throughout my Born to be Adventurous creative project. Make it Happen by Jen Carrington is for big hearted creatives that want to grow their creative projects while staying true to themselves. Jen Carrington is a creative business coach that offers practical advice that is both encouraging and motivational. Through hard work, achievable goals, staying true to who you are and creating life balance she believes that you will achieve your creative goals. Her English accent is hypnotizing and the occasional cusses making it a good listen. Check out Make It Happen podcast here. What are your favourite podcasts? We are always on the hunt for new podcasts!